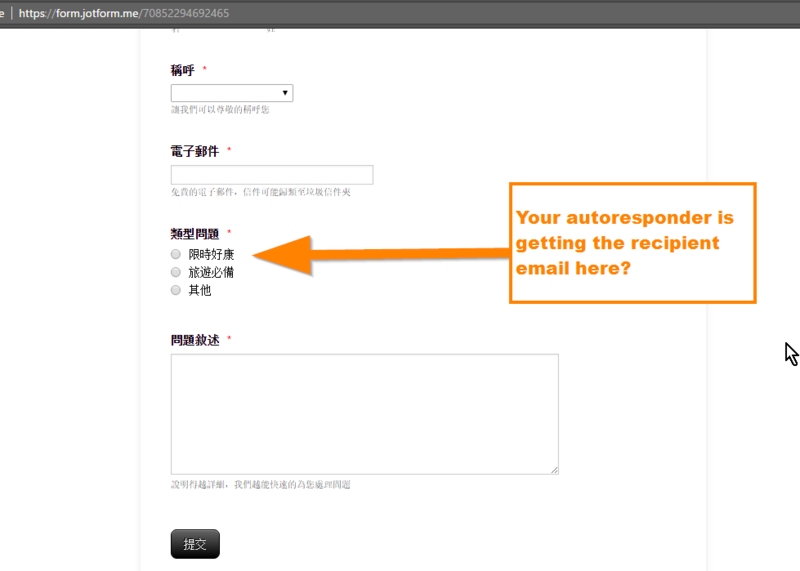 I want to try autoresponder function for auto reply a mail to user when user submit a form. It seems not working. I can make sure my account and password is correct. or the it a paid function. can you help me to check my setting. Thanks. 類型問題 => Is this an email field? Please do make sure that the settings in your email alert is correct. Please also check this general guide about email alerts: https://www.jotform.com/help/30-Explanation-of-Email-Notification-and-Autoresponder-Settings.